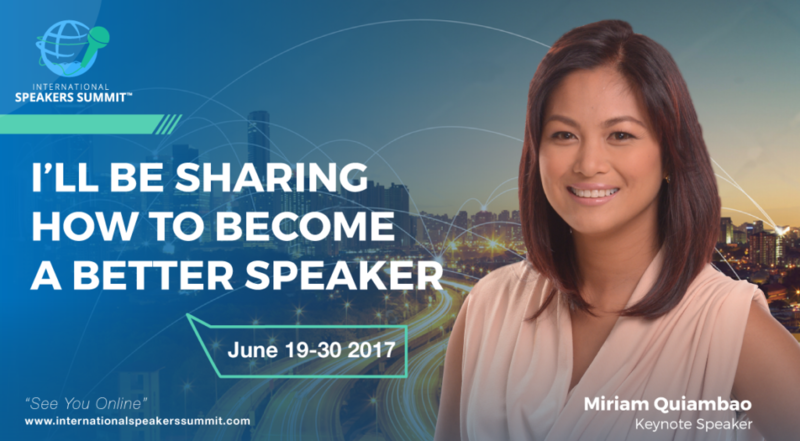 I’ve been invited to be one of the guest speakers at the International Speakers Summit 2017 from June 19-30, 2017 and I will be sharing on the topic: “From Fear To Faith: My Journey Toward True Confidence as a Speaker”. I’m incredibly excited because along with this invitation, I was offered the chance to extend to you a FREE front row ticket. Other guest speakers include Jack Canfield, Simon T. Bailey, Rob ‘Waldo’ Waldman, Lenora Billings-Harris, Stephen Shapiro, James Taylor, Tony Alessandra, Terry Brock, Fredrik Haren, Michael Port, Ted McGrath, Neen James, Chip Eichelberger, Tamsen Webster, , Brenda Bence, Nienke Bloem, Gil Petersil, Dan Waldschmidt, Tom Abbott, Dr Lynda Shaw, David Avrin, Andrew Bryant, Frank Furness, Rory Vaden, Mark Bowden, Barnaby Wynter, Daniel Gutierrez, Simon Raybould, Paul du Toit, Denise Jacobs, Andras Baneth, Michel Neray, Martin Laschkolnig, Tonya Hofmann, James Leong, Jane Atkinson, Jerome Joseph, Manoj Vasudevan, Miriam Quiambao, Kenneth Kwan, Mike Handcock, Ryan Foland, Jane Anderson, Ilja Grzeskowitz, Charmaine Hammond, Myron Sta Anna, Erin Gargan, Ubong Essien, Martin Limbeck, D’Arcy Webb, Preet Banerjee and Peter Brandl. 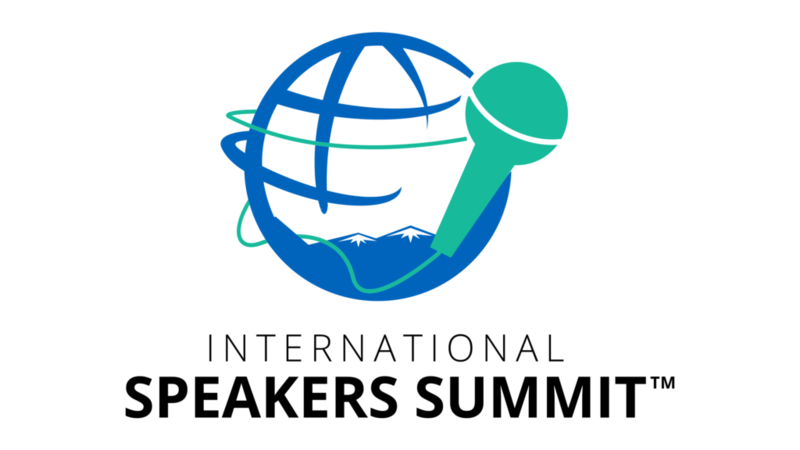 CLICK HERE to join the International Speakers Summit! There has never been an event like this. 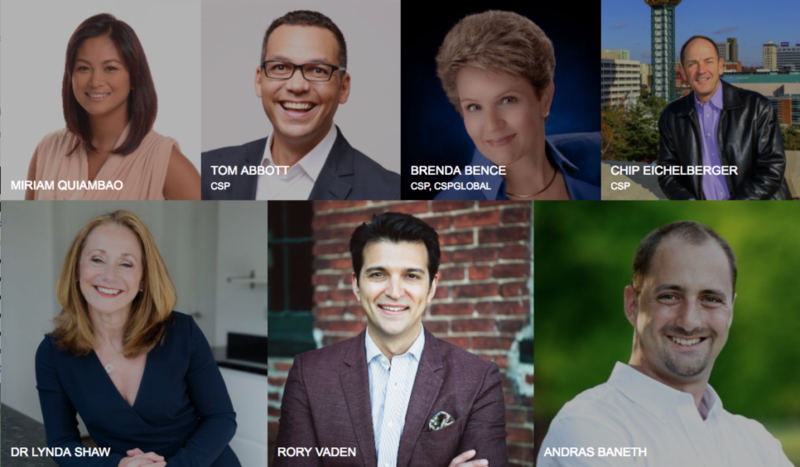 Tuning into this International Speakers Summit could help you take your life to a whole new level and it going to be a lot of fun. CLICK HERE to reserve your seat today as these spots will fill up FAST! Don’t miss this opportunity to attend the International Speakers Summit and feel free to forward the link onto any aspiring or professional speaker friends. The more the merrier.